Governor Cuomo has not officially announced a candidacy for a third term but has told everyone he’s planning to run next year. But it’s hard to talk about Governor Cuomo’s potential race for reelection next year without discussing the Presidential race in 2020, and whether Cuomo will be a candidate. The governor for his first six years in office kept a low national profile, but in 2017 he stepped up his appearances on national news shows and took on President Trump on issues like climate change. He’s been very vocal in his opposition to the federal tax overhaul, calling it a “dagger in the heart” of the state, and saying it penalizes blue, high tax states like New York. “They’re using New York as a piggy bank to pay for the tax cuts in other states,” Cuomo said on December 13th. Cuomo also is helping Puerto Rico get power and services back after the devastating hurricanes, stepping in to fix a problem that the federal government was not addressing. He’s sent supplies and made three trips to the Island. The governor has only said that he intends to seek re-election as governor in 2018. 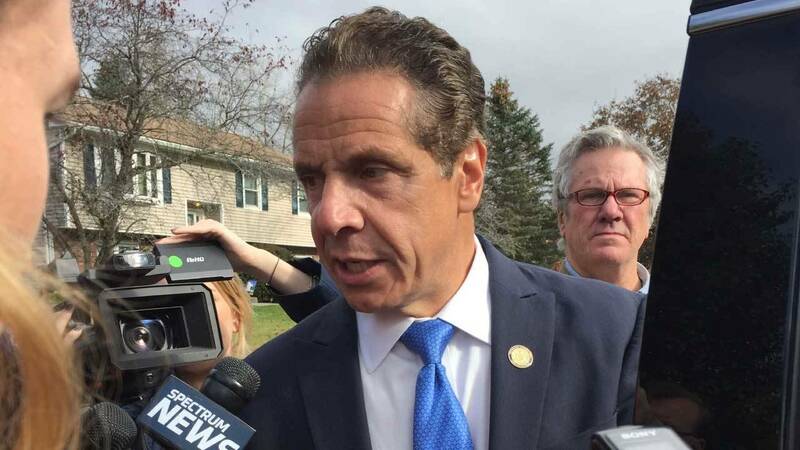 Former Assemblyman Richard Brodsky, who is now a senior fellow at Demos Action, and frequent columnist for the Huffington Post, says Cuomo brings both strengths and weaknesses to a reelection campaign, as well as a potential presidential run. He says the governor is “articulate” and has good relations with unions, as well as being able to “raise a fortune”. Cuomo has $25 million dollars in his campaign account. Brodsky says the governor has a solid record on legalizing gay marriage, gun control and offering free tuition to some middle-class students at state universities. But he says Cuomo’s record is that of a traditional politician, in a time of great political upheaval. New York’s junior Senator Kirsten Gillibrand, who is also up for reelection in 2018, is like Cuomo considered a potential 2020 Presidential candidate. Gillibrand does not have the name recognition of Cuomo and is not as skilled in fundraising, but she’s been gaining a lot of national attention for standing up for women who are sexually harassed. She drew the ire of President Trump, who tweeted that she would do “anything” to get money from donors, and said her longtime political patron, former President Bill Clinton, should have resigned from office for sexually related transgressions. Brodsky says Gillibrand may be more representative of the model politician of the future. But he says ultimately, Democrats will be looking for the candidate most likely to beat Trump. “The Democratic voter in 2020 is going to look for the person most likely to win,” he said. First, though, the governor faces a number of obstacles. The state has a $4.4 billion dollar deficit, and there’s uncertainty over the effects of the federal tax overhaul on the state’s finances, as well as possible big funding cuts by President Trump and Congress. Several of the governor’s former associates, including a former top aide, go on trial for corruption beginning in January.